fantasy art and tree chatter of aquariann: Treasury Tuesday: Happy Birthday, August Peeps! 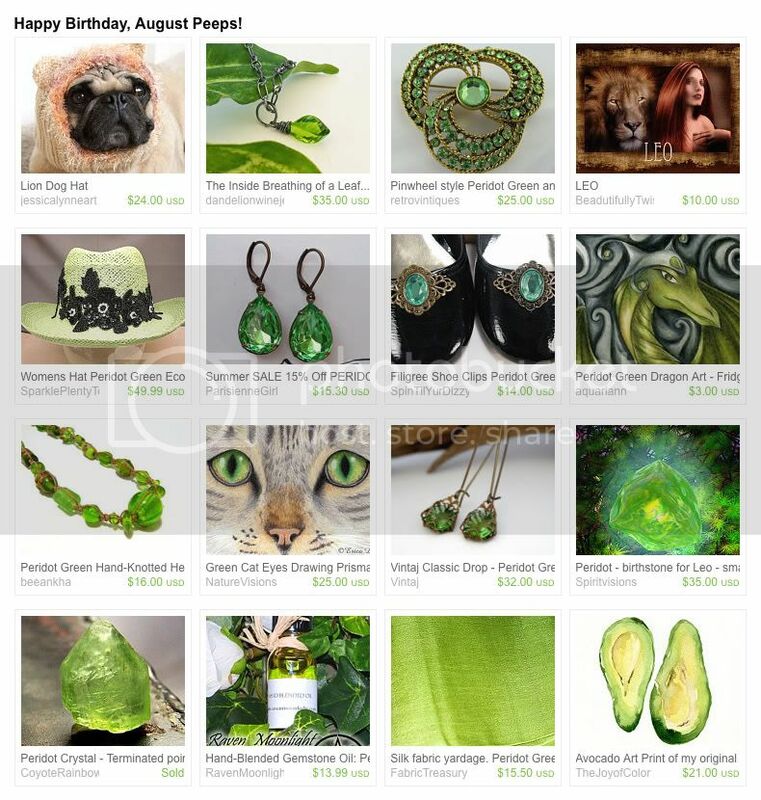 Treasury Tuesday: Happy Birthday, August Peeps! I hope everyone is having a roaring good time during the last full month of summer! Pat of Precious Reiki Gems rounded up lions and peridot gems to help celebrate her August peeps' birthdays. The green gift ideas include hand-blended gemstone oil for Leos, rhinestone drop earrings and my August birthstone dragon magnet. Love Treasury Tuesday! Thanks for the opportunity to share! Lovely treasury! Luscious colors and great finds! What stunning colors! Always love that green. I love your blog! Thanks for inviting me to post the O Canada treasury by VdeB! Sorry for the wrong link to no.6... it's corrected. The green shade is beautiful! Thanks as always for hosting.